The former Bellator and ONE Championship titleholder Ben Askren will make his long-awaited Octagon debut at the upcoming UFC 235 PPV event against Robbie Lawler on March 2. Ahead of any fight event UFC hype the main headliner to co-main event on social media. Yesterday (Wed., Feb. 13, 2019), UFC’s social media marketing team put out a poster of Asken vs. Lawler on Twitter to promote their fight. ‘Funky’ acknowledges UFC’s tweet and promptly call out the promotion to fix his picture on the poster. 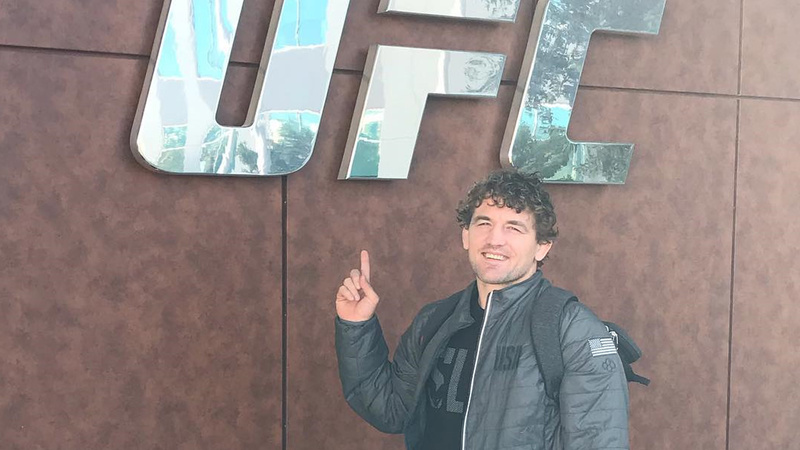 It’s clear that Askren’s relationship with UFC President Dana White has been a contentious one. UFC head honcho was a long critic of ‘Funky’ when he was in fighting in other promotions, and Ben often fired right back. Now we get to see how UFC indirectly started to troll Askren. Since he joined the UFC Askren called out everyone on social media regardless of weight class. Not only that ‘Funky‘ made it a habit to beef up with different fighters on Twitter, he always has insults and comeback lines who dares to cross him. Previous articleFrank Mir Silences WWE Trolls, Says Bruce Lee’s Fights Were Staged!